High Sierra Performance Series is the perfect blend of quality, function and value. Performance Series is the right product for those seeking premium features and rugged quality while not breaking the bank. Smart storage and trend setting designs are key components of the collection. With a bag for all of your snow bound adventures, be sure to check out the Performance Series. 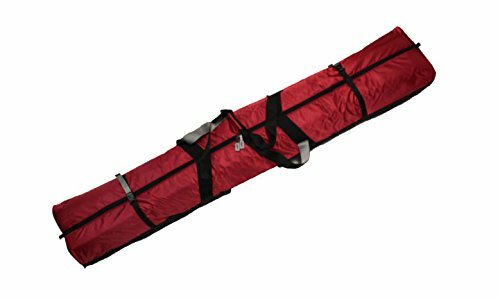 FULLY PADDED 170cm DOUBLE SKI BAG W/WHEELS from SELECT SPORTBAGS COMPLETELY PADDED END TO END T0 BETTER PROTECT EQUIPMENT Double Wheeled Ski Bag holds 2 pair of skis up to 170 cm. This bag utilizes inline skate wheels to insure smooth travel and is pulled by a soft handle. It has two internal compression straps and two external compression straps to secure the skis. 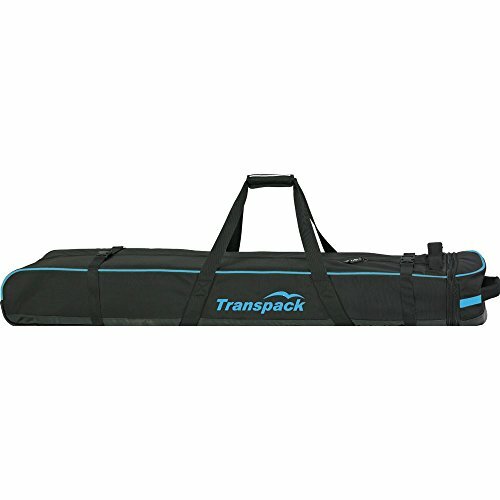 The lining is a tear-proof tarp cloth and the bag is fully padded with a PADDED divider to separate and protect skis. Constructed of Durable, Waterproof POLYESTER Fabric, Two tone Nylon Webbing, Heavy Duty zippers and lightweight plastic hardware. SIZE: 12" x 8" x 68" OVERSIZED 2 PAIR SKI BAG TO FIT TWO PAIR OF SHAPED SKIS UP TO 170 cm AND TWO PAIR OF POLES FULLY PADDED MAIN COMPARTMENT WITH PADDED DIVIDER TO SEPARATE AND PROTECT EQUIPMENT TWO EXTRA LONG WEBBING HANDLES w/PADDED CLOSURE COMPRESSION STRAPS w/QUICK RELEASE BUCKLES WEBBING HANDLE ON END This bag is a MUST if your plans include travel this season... Ideal for that extended trip by plane. Tough enough to stand up the worst of the bag handlers. HENRY BRUBAKERs Combo"Champion" holds complete Set of Ski or Equipment incl. Boots, Helmet and Poles HENRY BRUBAKER Skibag CARVER CHAMPION for one pair of ski up 170 cm or 66 7/8". For all carving, racing and all-mountain skiing equipment inclusive poles. Extremely strong two-way zip. Ventilation eyelet, compression strap with quick release buckle fastening. Long, adjustable shoulder strap with padding in the area of the shoulder. The area around the fittings of the ski is equipped with 10 mm foam padding and cut-resistant fabric (fibreglass film). Outermaterial of the ski bag: Polyester 600, double PU coated with taped seams. Bag inclusive feet. Address panel. 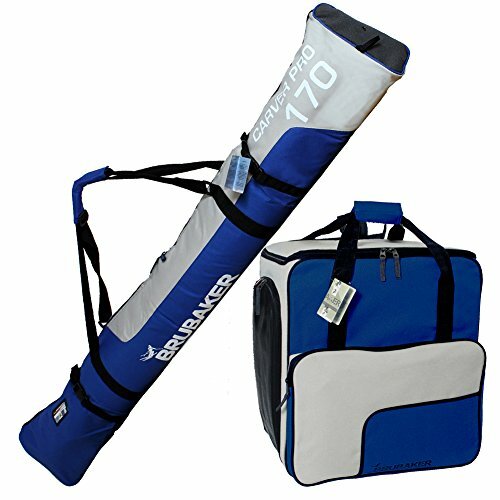 HENRY BRUBAKER Ski Boot Bag SUPER CHAMPION High-quality finished winter sports bag with separate boot compartment, easily accessed via a zip fastening on the side. Water-repellent adjustable inner boot bag to keep wet and dirty boots separate from the roomy main compartment! Enough storage space for helmet, gloves, hat or clothing, easy access via arch zip. Additional zippered front compartment and side pocket, carry straps with padded handle, adjustable rucksack straps, thus also ideal for carrying as a backpack. Incl. rubber spike feet (so bag can`t slide away) and address panel. 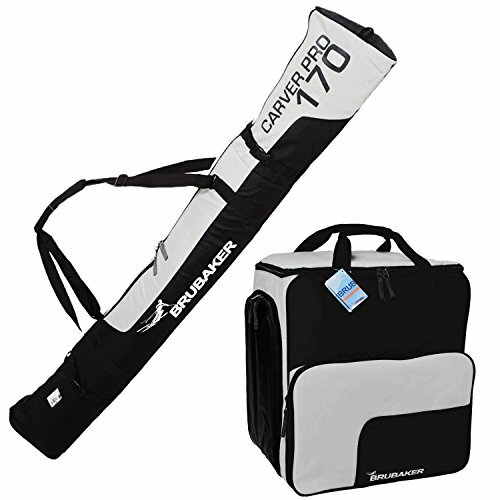 The Deluxe Single Ski Bag features a sleek well toughtout design to protect all aspects of your skis. With a main u-shaped opening and a padded center your skis and binding will stay in place and keep them in top condition. 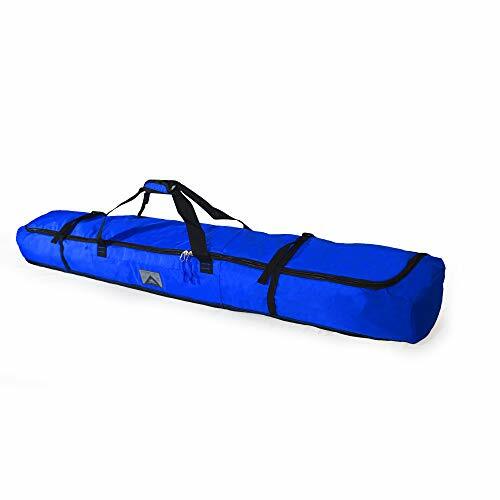 The ski bag was desinged to allow easy access to your skis as well as all your other equipment, we have added extra long handles with padded comfort to make carrying much easier. A adjustable quick-release compression strap will make sure that everything is held in place. Choose your color based on your style of skiing; are you a thrasher than maybe you want to go with our Vivid Blue, or maybe you are fast and sleek on the slopes and want our traditional Black bag! Hit the slopes in style with the High Sierra Deluxe Ski Bag. For all carving, racing and all-mountain skiing equipment incl. poles. Heavy duty ski bag. Extremely strong no.10 two-way zip. Ventilation eyelet, compression strap with quick release buckle fastening. 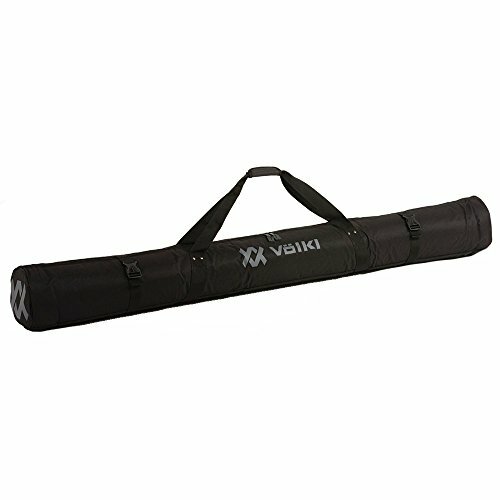 Long, adjustable shoulder strap with padding. Area around ski bindings foam padded, cut-resistant fabric. Material Polyester 600, double PU coated, taped seams. 10 mm PU foam, fibreglass film. The Element Equipment Deluxe Padded Ski Bag Single is for serious skiers willing to ditch the wheels to save some dough and some weight. Full 360° padded protection for your skis and poles. The High Sierra Core Series is the essential hauler for your snow sport gear. 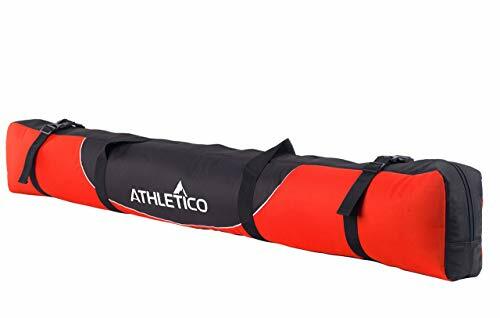 This Ski Bag & Boot Bag combo features high quality construction and durable fabrics with a back-to-basics approach perfect for any snow bound traveler. 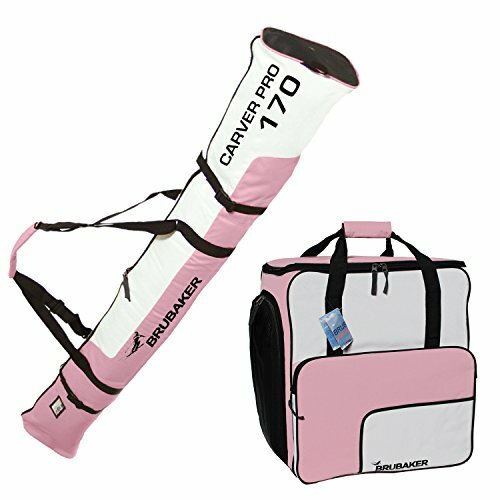 Hit the slopes in style with this matching Ski Bag and Boot Bag set! 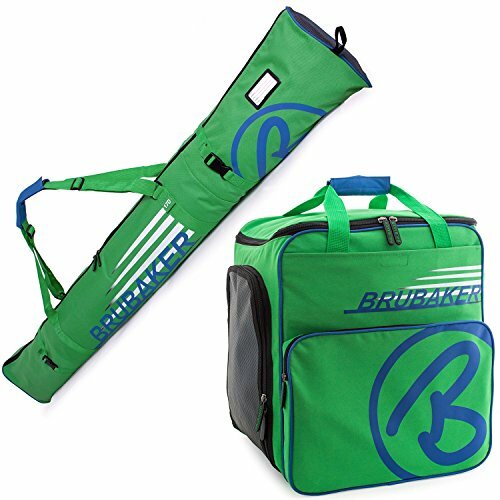 HENRY BRUBAKER Skibag for all carving, racing and all-mountain skiing equipment incl. poles. Heavy duty ski bag. Extremely strong no.10 two-way zip. Ventilation eyelet, compression strap with quick release buckle fastening. Long, adjustable shoulder strap with padding. Area around ski bindings foam padded, cut-resistant fabric. Material Polyester 600, double PU coated, taped seams. 10 mm PU foam, fibreglass film. BRUBAKERs Combo Champion holds complete Set of Ski or Equipment incl. Boots, Helmet and Poles BRUBAKER Skibag CARVER CHAMPION for one pair of ski. For all carving, racing and all-mountain skiing equipment. Extremely strong two-way zip. Ventilation eyelet, compression strap with quick release buckle fastening. Long, adjustable shoulder strap with padding in the area of the shoulder. The area around the fittings of the ski is equipped with 10 mm foam padding and cut-resistant fabric (fibreglass film). Outermaterial of the ski bag: Polyester 600, double PU coated with taped seams. Bag inclusive feet. Address panel. 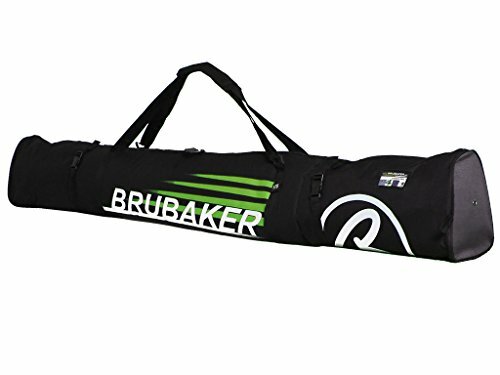 BRUBAKER Ski Boot Bag SUPER CHAMPION High-quality finished winter sports bag with separate boot compartment, easily accessed via a zip fastening on the side. Water-repellent adjustable inner boot bag to keep wet and dirty boots separate from the roomy main compartment! Enough storage space for helmet, gloves, hat or clothing, easy access via arch zip. Additional zippered front compartment and side pocket, carry straps with padded handle, adjustable rucksack straps, thus also ideal for carrying as a backpack. Incl. rubber spike feet (so bag can`t slide away) and address panel. 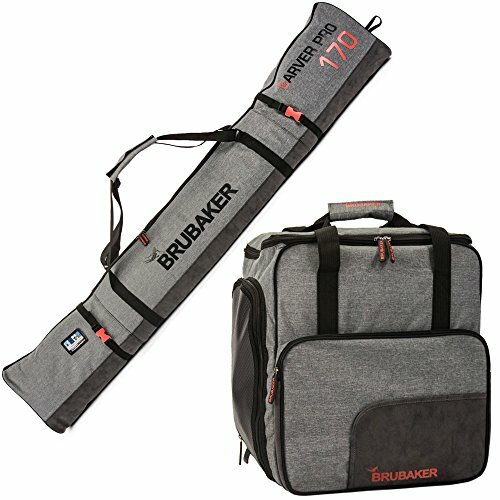 BRUBAKER Combo SUPERFUNCTION 2.0 and CARVER PRO 2.0 holds complete Set of Ski or Equipment incl. Boots, Helmet and PolesBRUBAKER Skibag CARVER PRO 2.0 for one pair of ski up 170 cm or 66 7/8". For all carving, racing and all-mountain skiing equipment inclusive poles. Extremely strong two-way zip. Ventilation eyelet, compression strap with quick release buckle fastening. Long, adjustable shoulder strap with padding in the area of the shoulder. The area around the fittings of the ski is equipped with 10 mm foam padding and cut-resistant fabric (fibreglass film). Outermaterial of the ski bag: Polyester 600, double PU coated with taped seams. Bag inclusive feet. Address panel. 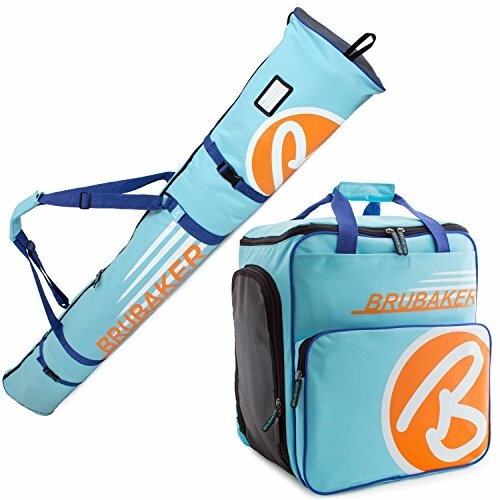 BRUBAKER Ski Boot Bag SUPERFUNCTION 2.0 High-quality finished winter sports bag with separate boot compartment, easily accessed via a zip fastening on the side. Water-repellent adjustable inner boot bag to keep wet and dirty boots separate from the roomy main compartment! Enough storage space for helmet, gloves, hat or clothing, easy access via arch zip. Additional zippered front compartment and side pocket, carry straps with padded handle, adjustable rucksack straps, thus also ideal for carrying as a backpack. Incl. rubber spike feet (so bag can`t slide away) and address panel. BRUBAKER Superfunction Combo and Carver Pro holds complete set of Ski or Equipment incl. Boots, Poles, Helmet, Gloves or other bits and bobs. 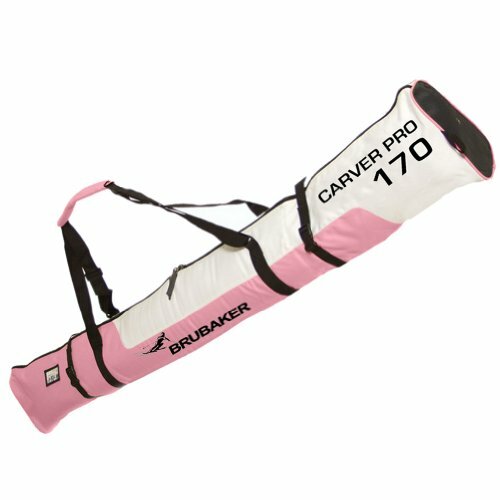 BRUBAKER Skibag Carver Pro for one pair of ski. For all carving, racing and all-mountain skiing equipment. Extremely strong two-way zip. Ventilation eyelet, compression strap with quick release buckle fastening. Long, adjustable shoulder strap with padding in the area of the shoulder. The area around the fittings of the ski is equipped with 10 mm foam padding and cut-resistant fabric (fibreglass film). Outermaterial of the ski bag: Polyester 600D, double PU coated with taped seams. Bag inclusive feet. Address panel. BRUBAKER Ski Boot Bag Superfunction High-quality finished winter sports bag with separate boot compartment, easily accessed via a zip fastening on the side. Water-repellent adjustable inner boot bag to keep wet and dirty boots separate from the roomy main compartment! Enough storage space for helmet, gloves, hat or clothing, easy access via arch zip. Additional zippered front compartment and side pocket, carry straps with padded handle, adjustable rucksack straps, thus also ideal for carrying as a backpack. Incl. rubber spike feet (so bag can`t slide away) and address panel. 1730-52 Color: Black w/ Blue Electric Features: -Fabric: Super tough, water resistant coated 1680 ballistic nylon and thick memory foam padding inside nylon lining. 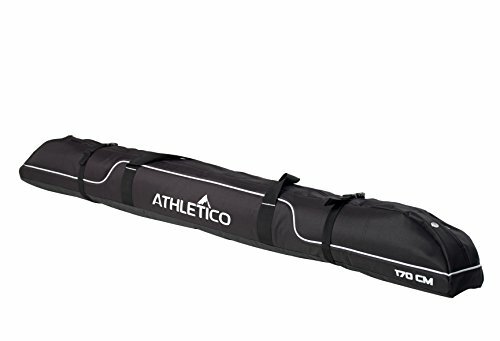 -Function: Super padded rolling convertible double ski bag for security and traveling convenience. 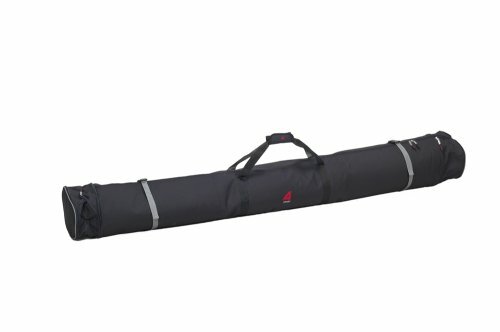 -Water resistant tarpaulin bottom with runners for extra protection. 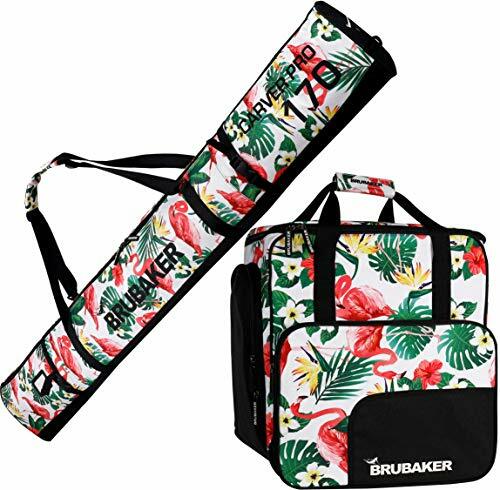 -Top and front padded handles for convenience when rolling bag. Bag Type: -Ski Bag. Rolling: -Yes. Double (fits 2 pairs): -Yes. Ski Length (cm): -160-169/170-179/180-189/190-219. Gender: -Adult Unisex. Material: -Soft Sided. Color: -Black. Color: -Gold / Yellow. Color: -Black / Blue. Color: -Black / Orange. Generic Dimensions: -Length: 65-77''. Dimensions: Overall Product Weight: -10 Pounds.